With Chinese President Hu Jintao in the United States this week there was much talk about the state of Sino-U.S. relations. My interest in developing our company’s Chinese business has me keeping a watchful eye for business and marketing news in China. 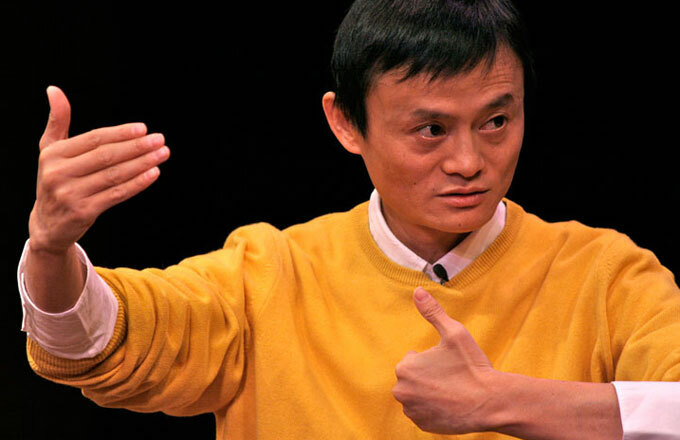 I thought it was interesting that during a week of heightened awareness of the U.S.-China relationship, that Alibaba.com and its Chairman Jack Ma would announce they are expanding their supply network in China. http://on.wsj.com/gIPr16. Full disclosure – we’ve had a couple of meetings with Alibaba.com here in the U.S. and I find the Alibaba.com story to be remarkable http://bit.ly/2vZW75. It’s no trifling investment either. $ 4.6 billion U.S. is a staggering amount of money. The primary benefit is said to be the ability to expand Taobao.com which is Alibaba.com’s Amazon.com-like online shopping mall. I find it interesting that Alibaba.com CEO David Wei W considers Taobao.com to be more like EBay http://bit.ly/SjMep but that is not what most people think today. What also caught my attention was what Mr. Ma was quoted as saying – “In 10 years, we hope that anywhere in China you can buy a product online, and, at the slowest, it will get to your home in eight hours” This is to be somewhat limited to areas in the north like Beijing, and Tianjin, as well as major population centers in the south (Shanghai and Nanjing for instance). The western part of China is not nearly as developed and would be more difficult to cover with an 8 hour delivery promise. The idea that you could order something online and have it delivered in as little as 8 hours is amazing to me. Back in the mid-1990’s Amazon.com’s CEO Jeff Bezos made a decision to invest in building distribution centers around the United States. This was at the time when Amazon.com primarily sold books and compact discs. Many people questioned the idea outright and many also thought that move would lead to the downfall of Amazon.com. It turned out to be one of the smartest things Mr. Bezos has done. But Amazon has never even tried to offer something like delivering an order in 8 hours. I think the same thing will happen with Jack Ma’s decision to have Alibaba.com follow a similar path. Yahoo.com continues to own 40% of Alibaba.com (which was founded in 1999) and I have noted before that this might be the reason Yahoo.com CEO Carol Bartz still has her job. Mr. Ma would like to buy back the interest from Yahoo but Ms. Bartz has not acceded. For the record Alibaba.com has something close to 18,000 employees in 60 cities and regions, including China, Hong Kong, India, Japan, Korea, Taiwan, the United Kingdom, and the United States. And the company is still growing and is headquartered in beautiful Hangzhou in a Silicon Valley like campus. You will be hearing a lot more from this rising force in the near future. My question to you is have you heard of them before and what is your opinion and impression of the company? This entry was posted in Business in China, Living in the World Today, Marketing stuff, Technology and tagged Alibaba.com, Amazon.com, Carol Bartz, David Wei, EBay, Jack Ma, Jeff Bezos, Marketing in China, Sino-U.S. relations, taobao.com, Yahoo owns Alibaba.com shares. Bookmark the permalink.